Our company is engaged in supplying an extensive range of Card Holders to our respected customers. These are procured from most reliable vendors. Equipped with latest technology, these are available in different colors. 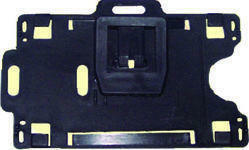 Our Card Holders have huge demand both in domestic as well as International markets. Card Holder CH 10 is one of the new & unique product in the field of ID Cards. 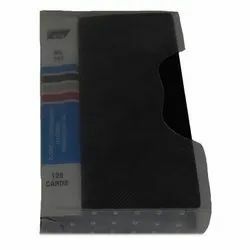 Our company is leading organization of this industry engaged in offering wide range of Visiting Card Holder 120 - 1 In 1(3UP) with Box_704 to our important clients. They have high in quality and superior in performance. We carry our detailed processing to make our products range and make them perfect in every aspect. Our offered range of Visiting Card Folder ( Album )gives the hassle free long service life to the user and available at feasible prices. We believe in customer satisfaction so we finely processed our products range and offer it in affordable prices to our customers. We are offering Card Holder CH 33 to our clients. We are offering Card Holder CH 34 to our clients. We are offering Card Holder CH 41 to our clients. 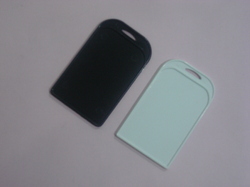 We are offering Both Side Sticky Small Size Card Holders CH 29 to our clients. Here we provide you the Card Holder in another design. Which is one of the regularly used by all types of customers. In this Card Holder you will get 20 colours. This card Holder is glossy Card Holder, which looks different from other Card Holders. 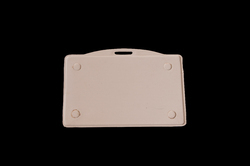 This Card Holder is regularly used by our all kinds of customers. This Card Holder you can get in 10 colours. 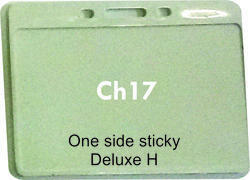 this Card Holders is also known as CH16. Majorly running colour is natural. CH16 is vertical holder. For corporate and for the businessman we provide you the another variety of Card Holder in 10 colours. 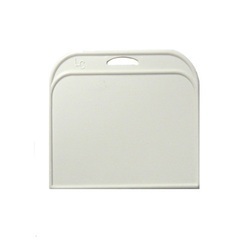 In this Card Holder you can easily insert proximity cards, smart cards,thick cards and even 2 thin cards at a time. This card Holder is glossy Card Holder, which looks different from other Card Holders. 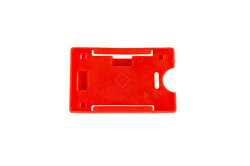 This Card Holder is regularly used by our all kinds of customers. This Card Holder you can get in 10 colours. this Card Holders is also known as CH11. Majorly running colour is natural. CH11 is horizontal holder. 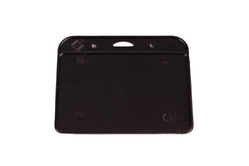 This Card Holder is heavy duty Card Holder from CH1. This Card Holder is regularly used by all kinds of customers. This Card Holder has great demand all over India. 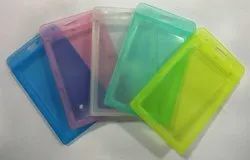 As we provide you the various types of card Holders here we represent the another Card Holder which is vertical in shape of second quality.in these Card Holder you will get regularly two colours i.e. Black & white. CH 22 is horizontal in design where CH24 is vertical. these Card Holder is one side sticky second quality. CH30 is one of the new & unique product in the field of ID Cards. CH30 is both side vertically sticky Card Holder. CH30 is available mainly in the Black & white colour Holders. CH30 has capture the market in very short period of time. It is very popular in the field of ID Card. CH30 has got unique which is small size as compare to our regular Card Holders. CH31 is one of the new & unique product in the field of ID Cards. 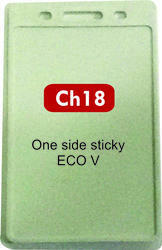 CH31 is one side horizontal heavy duty sticky Card Holder. these CH31 is available mainly in the Black & white colour were the customer require various colour in the CH31 minimum order you have to place of 5000 pcs. at a time. 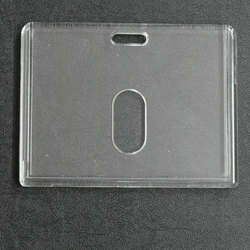 it is very popular in the field of ID Card Holders. CH31 has capture the market in very short period of time. 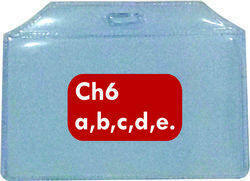 Card Holder Ch6 Available in CH6 a,b,c,d,e. 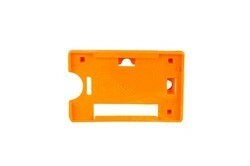 Made of soft PVC material, available in various thickness & sizes. 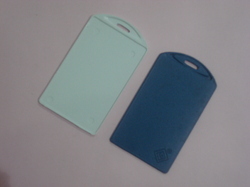 LC Plastic ID Card Holder CH 39 is one of the new & unique product in the field of ID Cards. 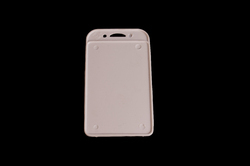 LC Plastic ID Card Holder CH 40 is one of the new & unique product in the field of ID Cards. 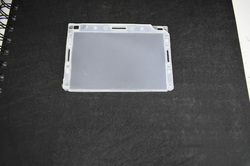 Card Holder CH17 is made of polyproplene material. It is both side pasting horizontal card holder. 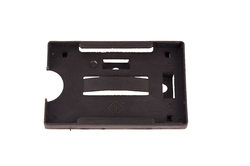 Here we provide you the different design of Card Holder. This variety of card Holder contain. 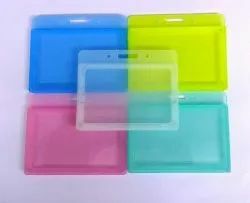 You will get 20 colours in these Card Holder. With request of our clients we provide the bigger size card Holder. Which also represent our quality conscious and our after sales service. 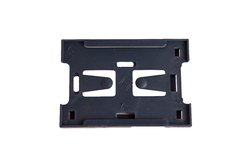 Here we provide you the various types of card Holders for various customers. these types of card Holder are one of the regular and highly demanded by all types of customers. you get these Card Holders in 20 colours as per availability. 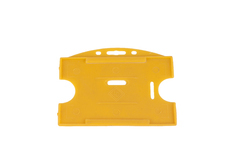 these Card Holder are very popular as CH1 in our product range. 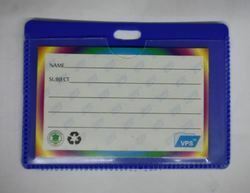 these type of Card Holder are used even if there is barcode on smart card. Packaging Details: 100 Pcs packing available. Packaging Details: 200 pcs packing available. CH32 is one of the new & unique product in the field of ID Cards. 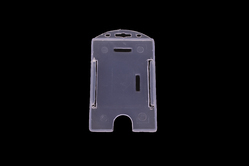 CH32 is onside side vertical heavy duty sticky Card Holder. 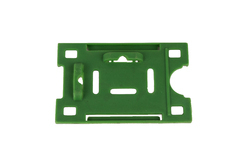 these CH32 is available mainly in the Black & white colour were the customer require various colour in the CH32 minimum order you have to place of 5000 pcs. at a time. 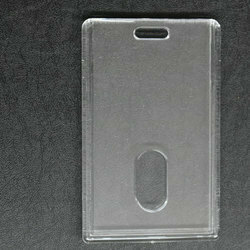 it is very popular in the field of ID Card Holders. 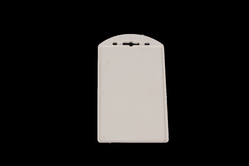 CH32 has capture the market in very short period of time.the distention of CH32 is which is small size as compare to our regular Card Holders. 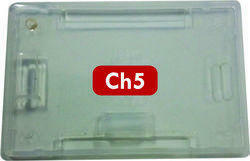 We are offering Card Holder CH 4 to our clients. Packaging Details: 100 PIECES PER PKT.